After what seemed like (and can’t be far off) all of 2013 to date being sun, and then drought, Auckland finally got its first reasonable drop of rain today. Unfortunately for the Volunteers at the Devonport Fire Station, it occurred on our open day – but all went well all the same. 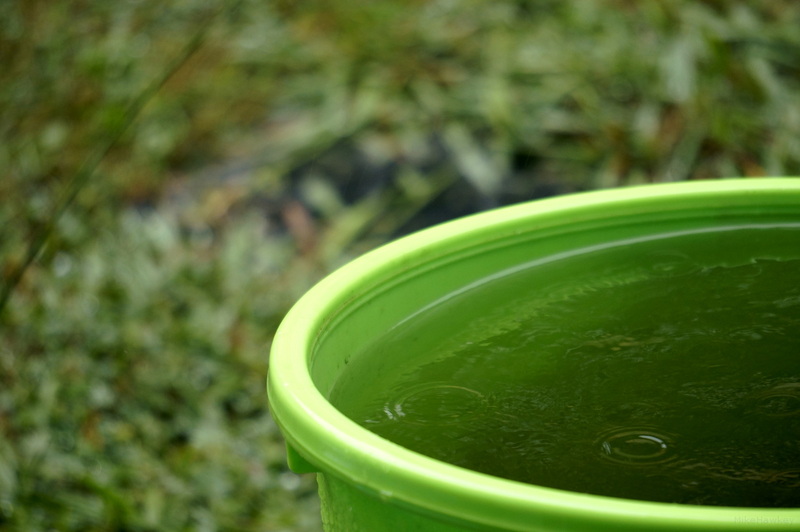 Some of our other big cities in the country have a total outdoor water ban at the moment, so planning ahead, and doing my bit to conserve water, I laid out buckets in the ‘common drip areas’ around the property to collect the rainfall to use later in the week. Just after the rain calmed, we were hit by a relatively rare, for Auckland, earthquake! a 4.0 on the scale and 5km deep, it was felt widely around the area, with mixed reactions from those I listened to calling in on the radio. One lady thought the washing machine was on, another thought the building was going to fall over…just image somewhere in the middle, lower it a bit, and you are about right. Image wise for today – shot on the Nex with 210mm lens. Using Gimp I added contrast and resized. How big is the bucket? Looks like you collected plenty. Earthquake was pretty mild out east. You could definitely feel like, the way you might feel a train passing close by your house, but I thought it was pretty mild overall. Several standard and a big bucket! I would measure it as similar to a lorry or train passing close also.Still, thats more than Auckland is used to! I thought a sheep had flown into the roof. You know… it was bigger than a seagull. Flying sheep! – I would imagine that falls somewhere between a seagull and flying pig…impact onto a roof noise well. Sounds about right!